On World Water Day, European Union (EU) Ambassador to Egypt Ivan Surkoš and Egyptian Minister of Water Resources and Irrigation Dr. Mohamed Abdel-Ati celebrated the occasion on the bank of the Nile River accompanied by a number of European and African Ambassadors, representatives of donor agencies, prominent governmental officials and a selection of media professionals at Afla Garden in El Kanater El Khairia. 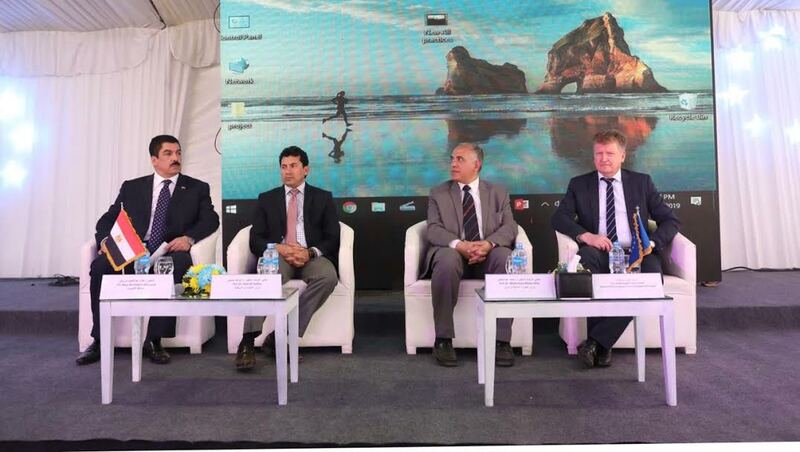 During the ceremony, Ambassador Surkoš announced that the European Union will launch a multi-annual flagship program in Egypt called #EU4WATER. The program has a total grants-based budget of up to EUR120 million. The EU-funded program aims to support the stabilization of Egypt through the enhancement of water security and sustainable water management. “We hope to sign the program Financing Agreement during summer and to start implementation before the end of the year,” Surkoš said. 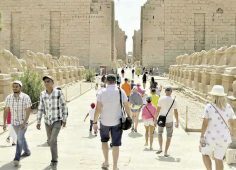 Egypt faces challenges related to water scarcity. The country requires rapid action to rationalize consumption, develop modern irrigation systems and diminish losses. 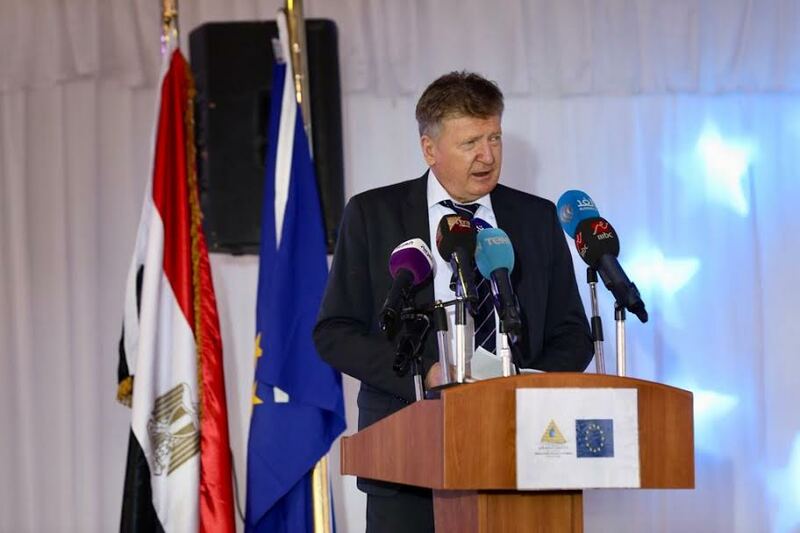 Ambassador Surkoš emphasized that the EU has been one of the strongest supporters of Egypt in this regard; it has so far contributed EUR450 million to establish water projects during the past ten years. Surkoš added that these grants leveraged EUR2.5 billion of funds for this sector from European financial institutions. 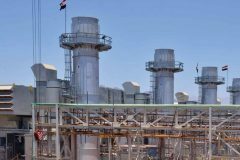 The cooperation in the water sector between the EU and Egypt includes programs covering 12 Egyptian governorates. These programs will improve the lives of 15 million Egyptians, targeting the less fortunate and most needy. “The EU is committed to support the sustainable water management in Egypt through continuing the development projects as well as the expansion of policy dialogue with decision makers,” he reiterated. His Excellency Minister Abdel-Ati also presented the ministry’s strategy until 2050, explaining the different phases of that strategy that manage changes impacting the water sector and accordingly enhance Egyptian water security, meet the requirements of all economic sectors and achieve sustainable development objectives according to Egypt’s 2030 vision. His Excellency praised the efforts and best practices of Egyptian farmers who have adopted modern irrigation techniques such as drip and spray irrigation to conserve water. These conservation strategies reflect their commitment to preserve water and protect it from pollution. Their excellencies Dr. Abdel-Ati and Ambassador Surkoš gave special awards to a group of female farmers who are board members of a water users associations from various governorates on the occasion of the International Women’s Day in recognition of their strong role in the enhancement of water resources management and the protection of water from pollution. Last March, the EU launched the EU Water STARS project with the Ministry of Water Resources and Irrigation with a total budget of EUR4.8 million. The grant aims to raise technical competencies in the water field, where it will continue operating for 30 months. This program will help the ministry achieve the required reforms to implement water security objectives according to the state’s Sustainable Development Strategy 2030 and the National Water Resources Plan (NWRP) 2037. The architectural designs behind the expansion and renovation of Afla Garden where the celebration occurred was funded by the EU Water STARS project, an initiative concerned with the development of a number of technical studies that support improved operational efficiencies and increase the efficient use of water resources. The implementation of renovations was covered by the budget for the Ministry of Water Resources and Irrigation.